The culture of Pakistan (Urdu Language), although South Asian, has been greatly influenced by the cultures of Central Asia and the Middle East. 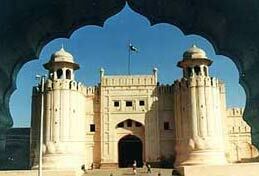 Pakistan is the site of Indus Valley Civilization that influenced the cultures of rest of South Asia. Many cultural practices and monuments have been inherited from the rule of many rulers of the region that have added their cultural traditions to the region. One of the most influenced cultures being the Mughals. 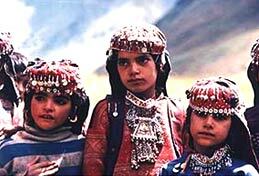 Pakistan has a rich cultural and traditional background going back to Indus Valley Civilization, 2800 BC–1800 BC. The region of Pakistan has been invaded in the past, occupied and settled by many different people, including Dravidians, Aryans, Greeks, White Huns, Persians, Arabs, Turks, Mongols and various Eurasian groups. And indeed the region has formed a distinct cultural unit within the main cultural complex of South Asia from prehistoric times. There are differences in culture among the different ethnic groups in matters such as dress, food, and religion, especially where pre-Islamic customs differ from Islamic practices. The cultural origins come from the civilizations of North India and eastern Afghanistan, with significant influences from Persia, Turkestan and Hellenistic Greece. However, it was the first part of the subcontinent to receive the full impact of Islam. Hence it has developed an identity of its own. 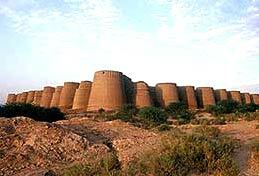 Ancient sites in Pakistan include Buddhist monuments, Hindu temples, Palaces and Monuments built by Emperors, tombs, pleasure grounds and Anglo-Mogul mansions – some in a state of dereliction which makes their former grandeur more emphatic. Sculpture is dominated by Graeco-Buddhist friezes, and crafts by ceramics, jewellery, silk goods and engraved woodwork and metalwork. Shalwar kameez, Dupatta, Sherwani, Achkan, and Karakul (hat) one of the most familiar sights in Pakistan, is that traditionally Pakistani men wear Shalwar Kameez. They come in many different styles, fabrics, colours and patterns that make them look really stylish. Pakistani women also wear Shalwar kameez no matter what province they are from. However, many women from the Sindh province wear ghagra varying from different styles and colours. Pakistani women wear an elaborate and heavily embroidered dress known as gharara on their wedding days. The Sherwani or Achkan with Karakuli hat is the national dress of Pakistan for men, as it is not specifically associated with any of the provinces. Most government officials wear the formal black Sherwani on state occasions.